Seow Lim graduated MSEE' 97 from Stanford. She joined a startup company right after she graduated as the youngest employee of the company, quickly became a manager after one year, and enjoyed the 2000 dot-com boom with the company getting acquired for $4B. She quickly transitioned from Applications Engineering into Product Design and Marketing after 2 years and that has been her focus ever since. Her career track record including driving the strategy and product portfolio for enterprise networking business that grew from $250M to $1B, led a consumer product business that grew from 0% to 70% market share in 3 years, executed on 5 acquisitions that grew team from 200 to 800 people and sale from $30M to $200M in 1 1/2 year. Carol Espy-Wilson is a Professor in the Electrical and Computer Engineering Department and the Institute for Systems Research at the University of Maryland. She heads the Speech Communication Lab which conducts basic research in speech acoustics, speech production and feature extraction. She is also currently on the Advisory Council for the National Institute of Biomedical Imaging and Bioengineering at National Institutes of Health (NIH). She applies the knowledge gained from fundamental research to the development of speech technologies such as speech inversion (acoustic-to-articulatory mapping), automatic speech recognition, emotion recognition, speaker recognition, speech enhancement, speech segregation and assistive technologies. In addition, Carol is the Founder and CEO of OmniSpeech LLC which is commercializing technology from her research program. OmniClear is a single-microphone software-only noise suppression solution that improves voice quality in stationary and dynamic noise environments for speech communication devices. OmniSpeech has 8 employees and is now ready to go to market with embedded and server-based products. Carol received a B.S. in Electrical Engineering from Stanford University in 1979, and a M.S., E.E. and Ph.D. in Electrical Engineering from the Massachusetts Institute of Technology in 1981, 1984 and 1987, respectively. 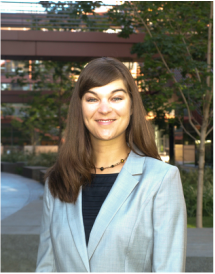 Melinda J. Cromie, PhD '12, is a postdoctoral fellow in neurology at the Stanford School of Medicine and the Center for Tissue Regeneration, Repair, and Restoration (CTR3) at the Veterans Affairs Palo Alto Health Care System. Her research brings together biomechanics, optics, materials science, and cell biology to improve the surgical treatment of neuromuscular disorders and to regenerate skeletal muscle from adult stem cells. Cromie holds mechanical engineering degrees from Stanford University (PhD), MIT (MS), and the University of California, Davis (BS). She was a National Defense Science and Engineering Graduate Fellow and a Bio-X Stanford Interdisciplinary Graduate Fellow (SIGF). She co-created and co-taught a bioengineering graduate course, Performance, Development, and Adaptation of Skeletal Muscle. She served as a student speaker at graduate student welcome events, Bio-X symposia, SIGF workshops, Bio-X and SIGF outreach events, Leading Matters, and STEM events for students in her hometown of Livermore, Calif.
After many years of multidisciplinary research in systems biology and high performance computing, at both Stanford University and UC Berkeley, Narges founded Bina to begin applying those results to the world of genomics. She holds multiple patents, and has several publications, as well as a Masters and a PhD in Electrical Engineering from Stanford University. Narges loves spending time in nature and hiking, and enjoys Persian poetry and music. Pamela Fletcher leads the team responsible for engineering GM’s electric vehicles and mobility solutions including the award-winning Chevrolet Volt, the Autonomous Chevrolet Volt Campus Fleet, the Chevrolet Bolt EV, e-Bike, Cadillac ELR, Chevrolet Spark EV. Her teams include engineers located in the United States, Europe and Asia. Pam has earned Bachelor’s and Master’s degrees in Engineering. She graduated from the Executive Development Program, at the Kellogg School of Management at Northwestern University, and most recently the Stanford Graduate School of Business Transformational Leadership Program. 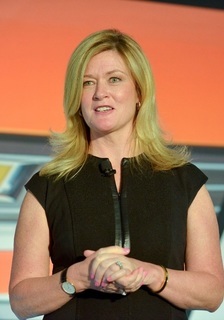 She was recently named one of the “100 Leading Women” in the Auto Industry by Automotive News as well as an “Automotive All-Star” by Automotive News. Pam serves on the Executive Committee of Inforum AutomotiveNEXT and the Board of Advisors for the College of Engineering at the University of North Carolina Charlotte. 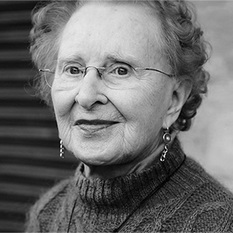 Barbara Knickerbocker Beskind is a designer and internationally recognized pioneer in the field of occupational therapy. Barbara graduated in 1945 from the College of Home Economics at Syracuse University with a BS in Applied Arts and Design. At the end of World War II, she trained as an occupational therapist through the U.S. Army’s War Emergency Course and served for 20 years, retiring as a major in 1966. She went on to found the Princeton Center for Learning Disorders, the first independent private practice in occupational therapy in the U.S. In January 2013, Barbara saw IDEO founder David Kelley speak on 60 Minutes about the importance of cultivating a diversity of experience among team members developing new products and services. Barbara wrote to the company, offering to help IDEO design for aging and low-vision populations. Then at age 89, she began working for IDEO in their Bay Area offices and has been directly involved with client projects related to contact lenses, health care delivery, and retirement home services. Anousheh Ansari is the Co-Founder, Chairwoman and Chief Executive Officer of Prodea Systems. Prior to Prodea, she co-founded Telecom Technologies Inc., where she served as chief executive officer and chairwoman. 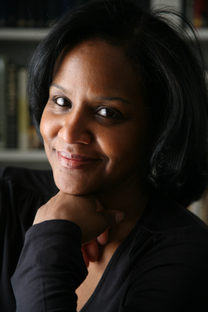 She earned a bachelor’s degree in electronics and computer engineering from George Mason University, followed by a master’s degree in electrical engineering from George Washington University. She received an honorary doctorate from George Mason, as well as Utah Valley University and International Space University. She is currently working toward a master’s degree in astronomy from Swinburne University. On September 18th, 2006, she blasted off for an eight-day expedition aboard the International Space Station and captured headlines around the world as the first female private space explorer. Along with her family, she provided the title sponsorship for the Ansari X Prize, a $10 million cash award for the first non-governmental organization to launch a reusable manned spacecraft into space twice within two weeks. She has received multiple honors, including the World Economic Forum Young Global Leader, STEM Leadership Hall of Fame, the Working Woman’s National Entrepreneurial Excellence Award, and many other awards. 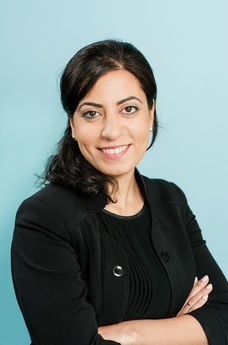 Anousheh also serves on the boards of several non-profit organizations focused on STEM education and youth empowerment. She runs an annual competition called the “What If?” competition for middle school students to promote free thinking and STEM education. Anette (Peko) Hosoi is a professor of Mechanical Engineering at MIT. 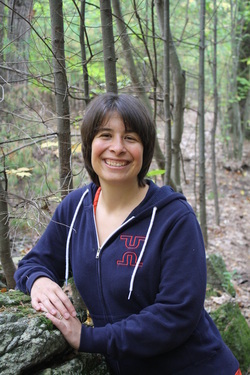 She received her PhD in Physics from the University of Chicago and went on to become an NSF Postdoctoral Fellow in the MIT Department of Mathematics and at the Courant Institute, NYU. She is a leader in the study of the hydrodynamics of thin fluid films and in the nonlinear physical interaction of viscous fluids and deformable interfaces. Her work spans multiple disciplines including physics, biology and applied mathematics, and is being used, in collaboration with Schlumberger-Doll Research, Bluefin Robotics, and Boston Dynamics to guide the engineering design of robotic crawlers and other mechanisms. Prof. Hosoi is an exceptional, innovative teacher and an inspiring mentor for women in engineering. She was awarded the Ruth and Joel Spira Award for Distinguished Teaching, and a MacVicar Fellowship. She is a recipient of the 3M Innovation Award and has held the Doherty Chair in Ocean Utilization at MIT. She is a Radcliffe Institute Fellow and a Fellow of the American Physical Society. Her research interests include fluid mechanics, bioinspired design and locomotion, with a focus on optimization of crawling gastropods, digging bivalves, swimming microorganisms and soft robotics. Prof. Hosoi is also an avid mountain biker and her passion for sports has led her to create STE@M, Sports Technology & Education at MIT. STE@M is a program that is designed to build an interconnected community of faculty, students, industry partners, alums and athletes who are dedicated to applying their technical expertise to advance the state-of-the-art in sports. 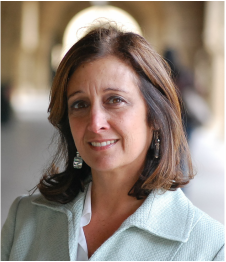 Barbara A. Karanian, Ph.D., is the founder of the Design Entrepreneuring Studio, as well as a lecturer and previously visiting Professor in the Mechanical Engineering Design Group at Stanford University. Barbara teaches and studies how a person’s behavior at work is framed around a blend of applied theoretical perspectives from social psychology and cognitive psychology; and fine arts. Barbara makes productive partnerships with industry and creates teams that find unmet user needs by using and teaching her validated applied psychology, leadership and design thinking methods. Her recent work examines ways to generate creative work environments; perceived differences in on-line and off-line lives; and a driver’s response to existing automation. She works on storytelling initiatives that bridge the intersection of Silicon Valley and Hollywood with Digital Film Tree. Barbara received her B.A. with a double major in Psychology and Fine Arts from the College of the Holy Cross; her M.Ed. in Art Therapy from Lesley University, and her Ph.D. in Educational Studies in Organizational Behavior from Lesley University. Always inspired by student co-authors, she was awarded best Teaching Strategies paper by the American Society for Engineering Education’s (ASEE) Entrepreneurship & Innovation division in 2012. Barbara likes to paint pictures. Ann Majewicz is an Assistant Professor of Mechanical Engineering at the University of Texas at Dallas (UTD), and holds a joint appointment in the Department of Surgery at UT Southwestern Medical Center (UTSW), where she joined in August 2014. She directs the Human-Enabled Robotic Technology Laboratory, at both UTD and UTSW, and is a co-director for the Biomedical Innovation program at UTSW. She received her B.S. degrees in Mechanical and Electrical Engineering from the University of St. Thomas in 2008, an M.S. degree from Johns Hopkins in 2011, and a Ph.D. from Stanford University in 2014, both in Mechanical Engineering. Her research interests span robotics, haptics, and teleoperation, with a focus on minimally invasive medical robotics and surgical training and education. 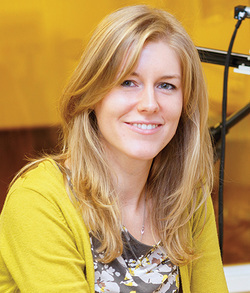 She received the NSF CISE Research Initiation Award in Cyber-Physical Systems in 2015.